How often do we not even notice something wonderful that’s right in front of us? My wonderful wife hung this at the entrance to the living room. I staggered out of bed, into the living room; didn’t notice it. Walked out of the living room; oblivious. Got coffee and wandered back into the living room; still unobservant. 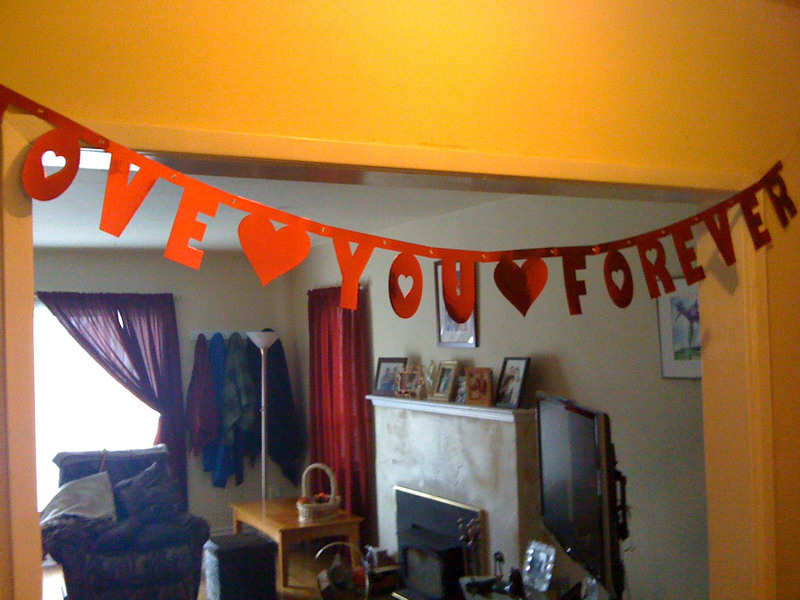 She calls out, “Happy Valentines Day” from upstairs, assuming I saw it of course. “About what?” I call back. How many other things of beauty and love do we miss each day? I will keep my eyes open more today.